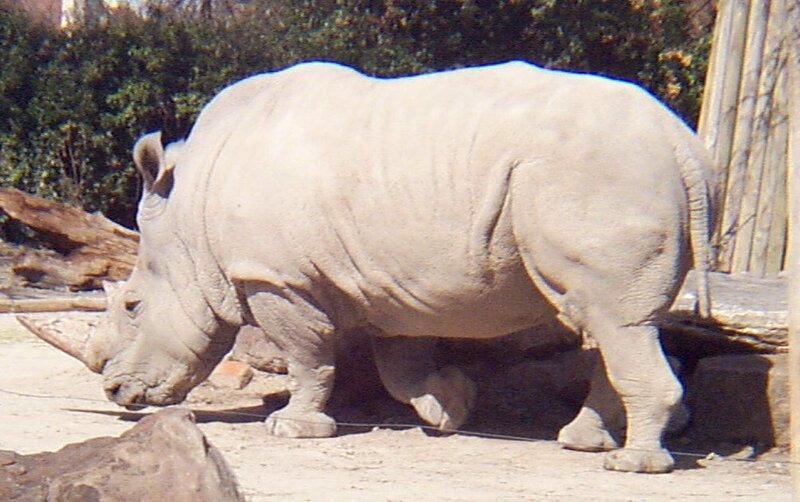 The word rhinoceros is derived from Greek, meaning nose horn which is their most distinctive feature. 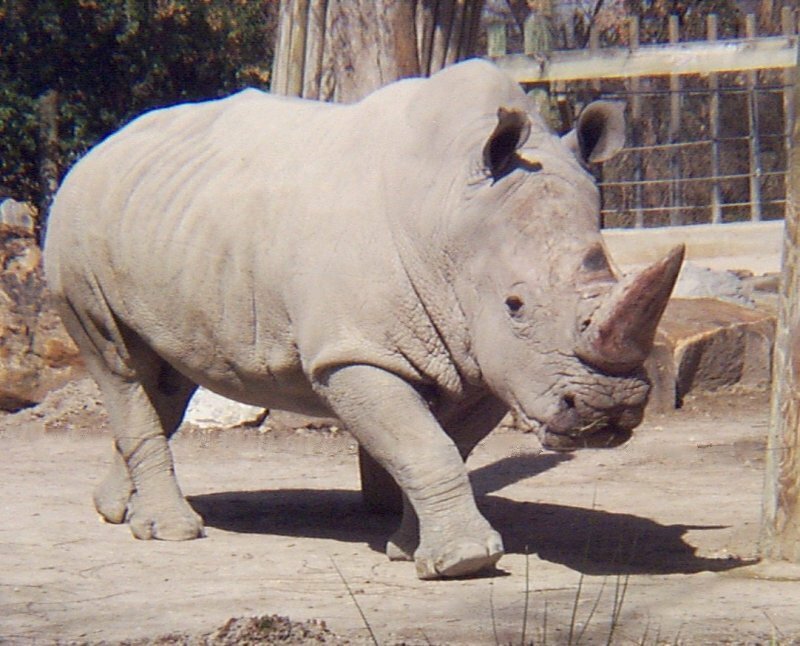 The white rhinoceros derives its scientific name, Ceratotherium simum from the Greek cerato, meaning horn; thorium, meaning wild beast and simum meaning flat nosed. If they look ancient to you, that is because they are the surviving representatives, along with elephants and hippos, of a biological category that was once much more diverse and abundant, known as mega herbivores. The fossil record tells us that at one time there were at least 200 species of rhinos in 3 different families. Some were small and others were huge. The Indricothere Paraceratherium transouralicum, an ancient member of the rhinoceros family grew to an enormous size and is considered the largest land mammal to have ever existed, weighing in at about 15 metric tons. They had long legs and long necks and were able to browse the tallest trees like todays giraffe; they also did not have a horn. It is thought that they fought using their necks the same way giraffes do today. The Paraceratherium were considered running rhinos with a more slender build and flexible foot and a lighter build than today’s rhino. They lived from Mongolia westward across the grassless scrubby plains of Asia during the Oligocene period, 30 to 35 million years ago.